The model VM2601 is the industry first high-resolution, high-speed digitizer. 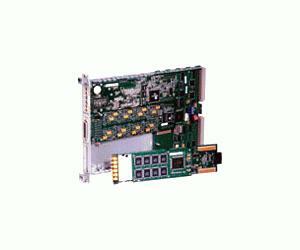 Designed as a waveform digitizer (DSO), it has a true differential or single-ended 14-bit input (channel A), and a frequency domain digitizer (IF receiver) with a dedicated RF input channel (channel B). The VM2601/2/3 all have built-in automatic test functions, making them ideal for applications in medical, automotive, semiconductor, avionics, and communications test. These are message-based devices, with SCPI command sets, allowing for ease of programming, but also providing direct register access for fast data throughput. A robust VXIplug&play driver is provided to further simplify programming tasks.